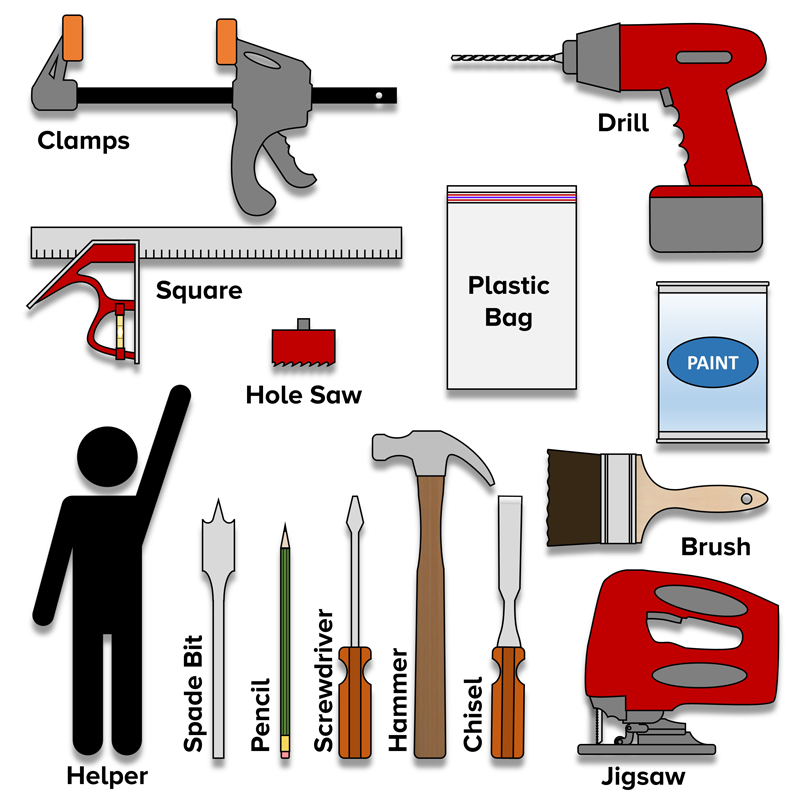 (Missing some of the tools above? Click on the item in the list above to purchase the recommended product from Amazon). 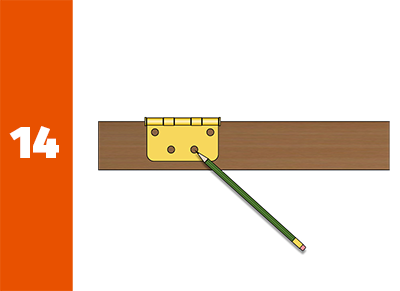 Using a flat-head screwdriver, locate the hinge pin, place the head of the screwdriver underneath the edge of the pin. 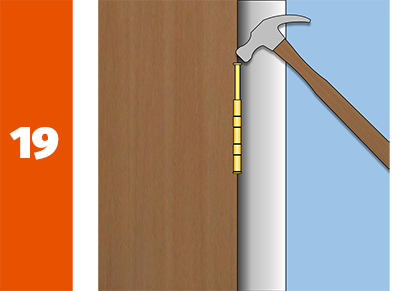 Tap the end of the screwdriver with a hammer, forcing the hinge pin up and out. Repeat this step for all three hinges. 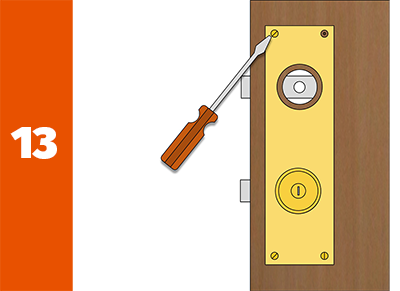 Make sure that there is someone holding the door while you are removing the pins. The door will be very heavy. 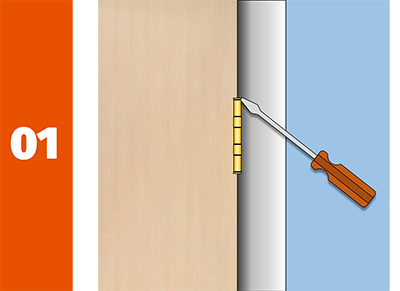 Using your screwdriver(s), remove the hinges from the door. Leave the other half of the hinges attached to your door frame. Continue with your screwdriver and remove all of the door hardware. 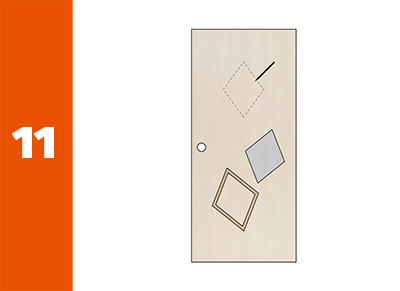 Have your new door laying on sawhorses or another flat surface. Lay your old door centered on top of your new door and trace the top, bottom and where the holes are for your doorknob / lock set. 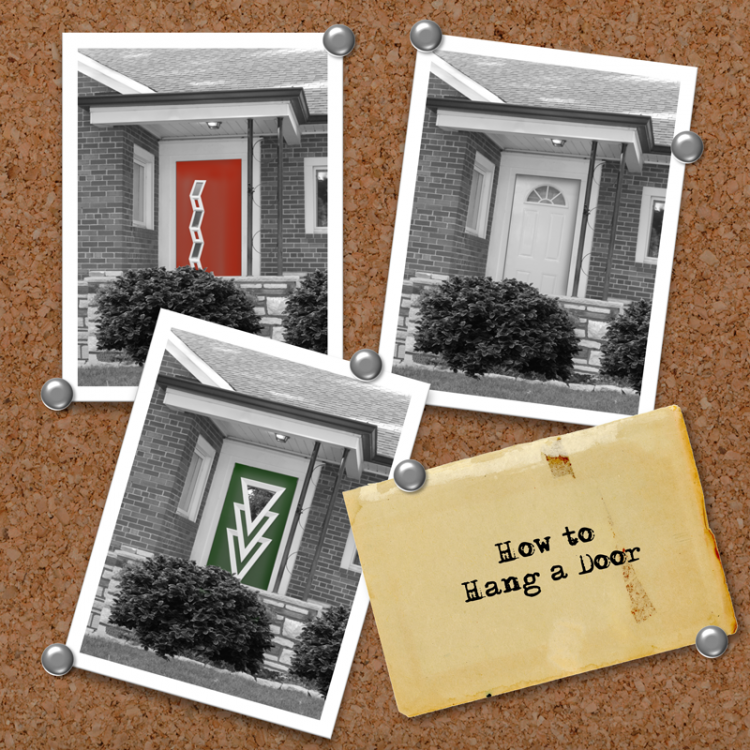 If you're lucky, your top and bottom will be the same as your new door! If they aren't have no fear because steps seven and eight are for you. But don't go there yet! On the side of the doors, using a square, transfer the locations of the old hinges to the new door so that they will be in the same location when it comes time to re-hang the door. 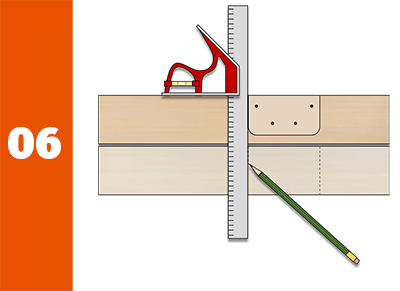 Measure the distance from the center of your blade to the edge of the base-plate of your jigsaw and use this mark to clamp on your straightedge. 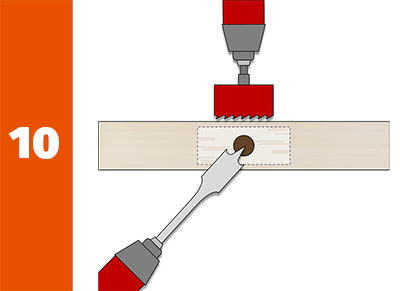 This will allow you to keep the jigsaw plate against the straightedge the perfect distance for your cut. You may want to put painter's tape on your mark and transfer your mark to the tape. The tape will help prevent chipping of the door veneer. Sand your edges as needed. Next, let's switch over to fitting the hinges and lock. 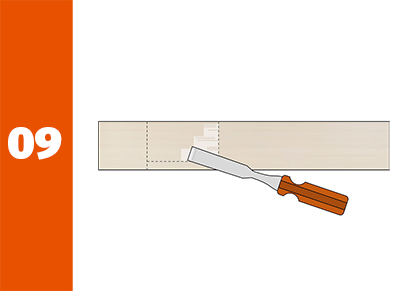 Using a chisel, chisel out the locations you have marked on the sides of the door for the hinges and door hardware. 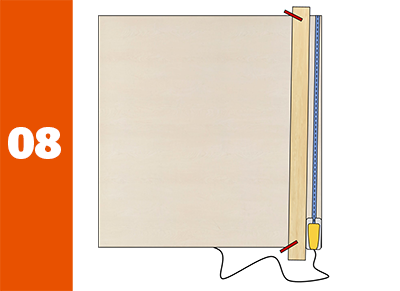 Keep testing your hinges and strike plates until they fit well and sit flat and flush to the door. 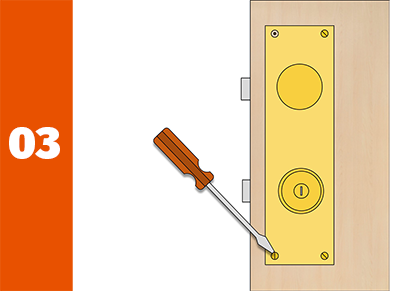 Using a hole saw and a spade bit, drill the doorknob / lock set holes as needed. You may wish to purchase a door lock installation kit at your local hardware store (or from the Amazon affiliate link above). 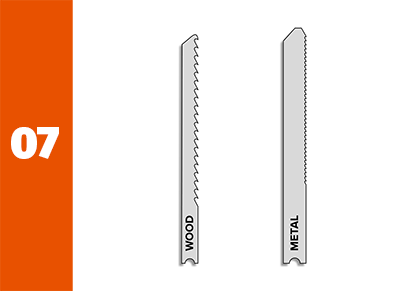 This will come with the saws needed along with a handy guide plate that clamps on the edge of your door. Did you purchase a door lite kit? Now is the perfect time to follow those instructions and install it. You can always go to Make it Mid-Century and buy one to install later! 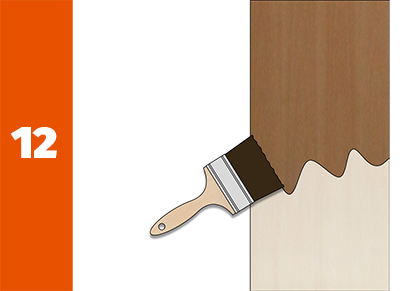 If you would like to paint or stain your door, it's much easier to do while the door is still horizontal. You can wait to do this after the door is hung if you would rather. 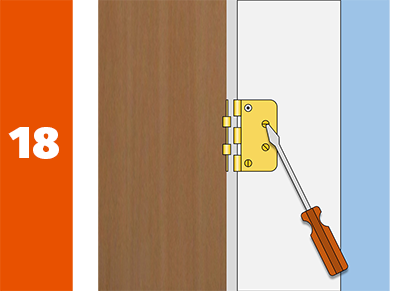 Reinstall your door hardware. Now is when you'll be glad that you packaged all of your hardware for re-use. No lost screws! 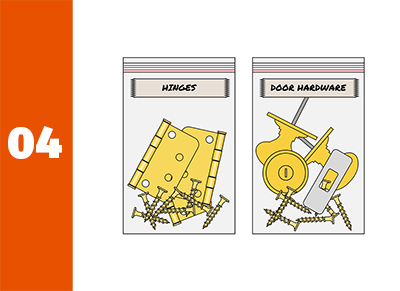 Lay out your hinges and mark the center of each hole in your hinges and door hardware to pre-drill for the screws. 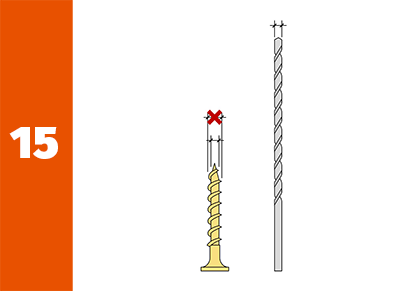 For pre-drilling for screws, make sure that the diameter of your drill bit matches the shank (main body) of the screw - not the outside dimension of the screw threads. Pre-drill holes for the screws on the locations you have marked. You can keep the hardware here to guide you or leave it off while you are drilling since you have marked the hole locations with a pencil. 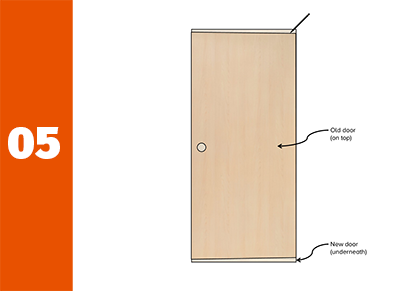 Reinstall your hinges to the side of your new door. If you've removed the other half of the hinge plate from your door frame, reinstall those now. Here's where your helper comes back into play because these doors are very heavy. 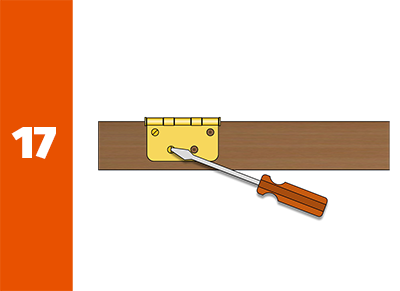 With your helper, lift the door into place and align the hinge pin holes. 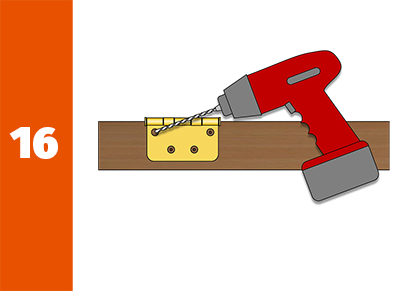 Using a hammer, lightly tap the hinge pins into place. It should not take much effort to get the pins in. 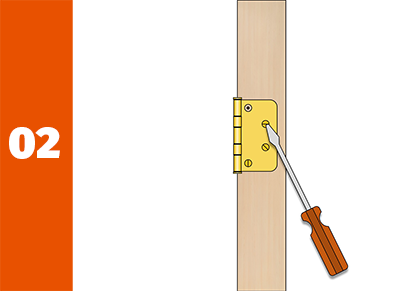 If the pins are not moving, you may not have your door aligned so that the holes through the hinges are aligned. Re-jigger and try again. Stand back and enjoy your new door. You did it! 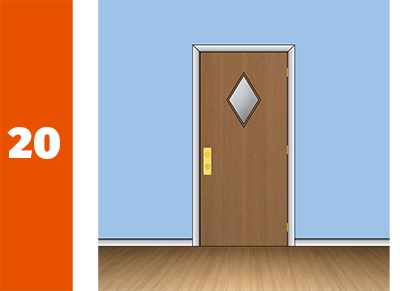 You are now on your way to a sweet, new door. I hope that these step-by-step instructions have taken some of the mystery out of the process for you. Would you like to download a printable copy of these directions?